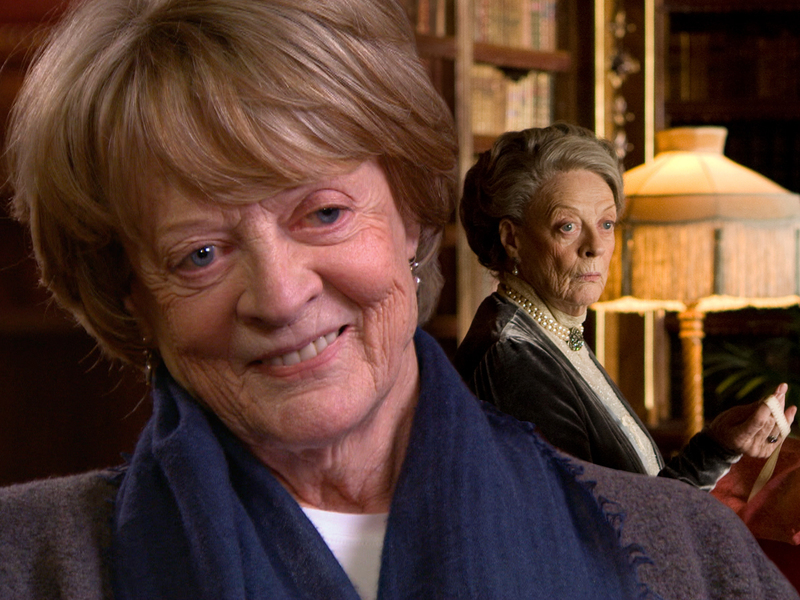 Julian Fellowes, the creator of "Downton Abbey," discusses Maggie Smith's importance to his hit show and describes a scene in which she creates an extraordinary moment. Lady Grantham, played by Maggie Smith in "Downton Abbey," is a privileged British matriarch with zingers that viewers relish. Julian Fellowes, the show's creator, describes how Smith can take her lines from funny to laugh-out-loud. Dame Maggie Smith's mastery of acting can be seen in the subtlety of her characters' movements. Julian Fellowes describes a scene in "Downton Abbey" where Smith's approach was "awfully skillful," he says.